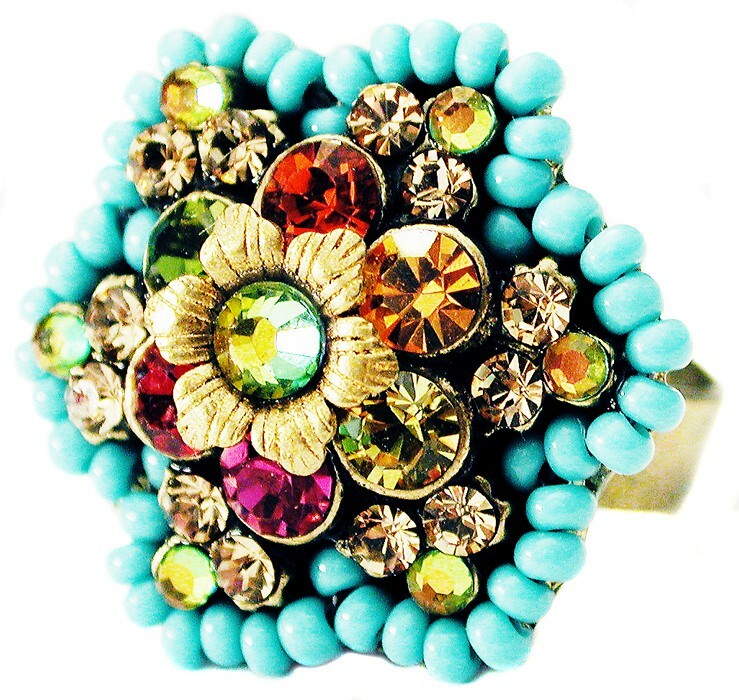 Michal Negrin ring with multicolor sparkling Swarovski crystals, a gold tone painted flower and turquoise beads. Adjustable band. 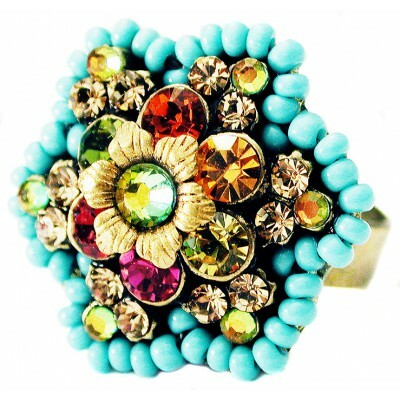 The surface of the ring measures 1 inch in diameter.